Are you having trouble achieving an exit? Are you not sure if you are getting relaxed enough? Maybe you feel that you are SO close to an exit but just can’t get there? You read about “exit sensations”, but don’t know what to do with the sensations you do feel? You can't remember or maintain the experience longer than a minute or even a few seconds? Simply put, tell us where you think that you are getting "stuck" in the process and we will help you to find a solution. 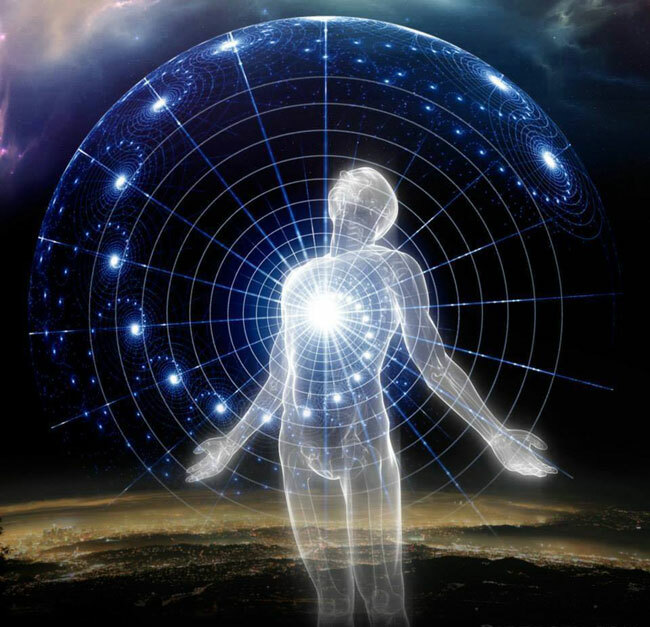 Your support team consists of members who are experienced with most methods for reaching the Out Of Body state or a proper Non-Physical state of consciousness. Whether you started with a book by one of the four Roberts (Monroe, Bruce, Peterson, Waggoner) or William Buhlman or Kurt Leland or Frank Kepple, or if you even discovered OBE's naturally and on your own, we can draw from multiple disciplines to assist you. We also understand that there can be many unforeseen obstacles to this process which can cause frustration; mostly because we have been there as well, just the same as you. So, if you have been reading, if you have been lurking, then we invite you to step out of the shadows and help us to help you- Give us some brief information about yourself: What are you trying to achieve and why? -Is it a spiritual goal of helping, or visiting a deceased loved one, or are you just looking for adventure? (These are all perfectly valid reasons) And where do you think you are getting stuck in the process? Since we don't have a "like" button here, this will have to suffice! Oh sorry, we don't allow advertising on the Astral Pulse.... oh, wait... it's FOR the Astral Pulse?! We're seriously that good?! AWESOME! I am smashing the etheric like button right now!!! I have been stuck for about a month now.... Where is the hotline phone number to call? Will do some advertising for this on other forums maybe. All kidding aside, I think this a great idea! So, SCHMUSTIN, where do you feel your "block" is? As per the OP, tell us what your technique is, step by step and where you feel you are getting stuck. Let's see if we can help you turn your situation into the first success story here. What do you expect to come out of all of this? I will put this in writing tonight and post. Should I post in here or create a new topic? I strongly believe I just need to have someone say something a specific way so the "Light Bulb" goes off... hope that makes scene. I just ended my Phase/soak session and today I focused on this thread here and especially your current situation SCHMUSTIN. To add to the OP's quote above, I would also put the invite out for those that have had their 3-5 "buys" already and wish to take it up a notch. A buy in my use here, means that you have already had a few successes and now find it even more challenging to get back again, as in "stuck". We could possibly use the thread for that as well. Making it a win, win "win" for everyone. Unless people here think that it would be better to we want to start another thread for that kind of conversation. SCHMUSTIN, while focusing on your dilemma, without even knowing your chosen technique, I was shown it is more about the "Technician", than it is the "technique " in this case. So, we need to work on that. A good way to start is to have a good meditative talk with you and your higher self to find out why you are being challenged here. Next we can work on things like strengthening your focus ability in general. That's what I see and what my help to you at this current time would be. The good thing about this "Hotline" idea is that we can get viewpoints from other members and experiencers here as well. You may not like what one person has to say and seem to sway more to another's view or way of helping. As long as the end result is the same, that's all that matters here. Sammie, post away! We are all ears! SCHMUSTIN, post it here. That way other people can benefit from the advise you receive here. I have a feeling that many people share the same problems when attempting to project/consciously shift. Ok here I go. I am going to explain in word, the best I can, the process I go through while working on projecting. So, with my schedule, I use mainly what people refer to as the “Indirect Method”. I have started using the direct method but this is challenging LOL. Still a work in progress. I know the “Indirect Method” is supposed to be a little bit harder of a way to go but for some reason I have always been drawn to it. -I will go to bed about 30 to 45 minutes earlier. -I take about 1 – 3 minutes to relax. -At this point I will usually say a mantra a couple times. -I will now start by counting (Backwards). -Then try visualization. Or just looking into the blackness behind my eye lids. - I will sit/lay and just keep my mind a quiet as possible and sit in silence. This is something I just started doing. I used to always be doing something in my mind but I find that as soon as I basically make it go silent, I get this feeling that my entire bode “tightens” ever so slightly, almost like a very small electric shock. Is this normal? If so, what should I do? -Once I get the small electric sensation I mention in the point above. My mind will automatically start on a mantra or counting or having thoughts fly in/through it. -Shortly after this I will start to get the sensation of movement hands, feet or head, or a combination. But have not had more than a partial exit. That I am aware of. I feel it is important to note that in the last 4 – 6 weeks I am able to get a feeling of my hands legs or head moving. Fairly quick into the process, I would say on average 5 – 10 min. So I am not sure what ells to say but I am sure there are key items I am missing. Please ask question to get further information and I will answer. I have been practicing this since October 2016 and I feel as I am missing a small piece of information to make the “light bulb” go off. On a bright note I do feel more confident getting to where I am now in the process. To clarify this I mean that all the relaxing, counting, visuals, movement, noises (when I hear them). Basically I have gotten comfortable with the sensation I have been getting for the past 2 years. ...and then what happens? Why did you stop? feel it is important to note that in the last 4 – 6 weeks I am able to get a feeling of my hands legs or head moving. Fairly quick into the process, I would say on average 5 – 10 min. Those are just effects though. It sounds like you are more focused on them than you are the actual exit. Passively observe them with a "air of curiosity". I do have a few questions though. When you first start noticing the darkness before your eyes, do you get a slight impulse to "re-adjust" your eyes? I ask this because lately I have been attempting to slow the process down so I can note every little thing. I will get a impulse after having my eyes closed, whereas it is a urge to readjust my closed eyes. Like refocusing. If I ignore it, the urge will strengthen until it almost becomes like a "exploding head" effect. I ignore it further and almost immediately the darkness begins to change and I feel vibrations. I think this urge is one of those tests your body does to see if you still are still awake. When you beat the urge, your body will naturally begin to go through the normal/natural sleep pattern, that you normally aren't consciously aware of. What kind of exit are you "expecting"? Are you looking for a "etheric", full body exit? You have chosen one of the toughest times to project. Many people prefer the 3-4 am hour to awake and attempt their exit. The reasons for this being that they normally already have 4-5 of hours of sleep in and now have interrupted their REM cycle. When you first go to bed at night, you are already mentally tired and ready to completely "tune out". Another time people are successful is after they awake in the morning. They program their minds to not move or even open their eyes when they naturally awaken in the morning. This makes it easier to go back from where they just came, their last Dream or they can make a new intent and discover that. They haven't fully reoriented themselves to their physical waking body yet. Then there is the process wake back to bed. Whereas you awaken, get up for about 1/2 an hour, then go back to bed and do a attempt. Once again, this is successful because you still haven't full oriented yourself yet to being awake. Just don't drink a coffee, lol? You call your technique "Indirect", but to me, I still see it as "Direct". There was no loss of consciousness involved. When I do what you did above, set my affirmation and notice before I go to sleep, that will normally lead to a LD, not a full bells and whistles projection. Other than that, I would say your technique is good. Counting, Mantras, etc. work very good for some people. I like playing games with counting. Once in awhile I mentally count to 300. Sometimes, I change it up and just run 1-20 and 20-1 in a continuous cycle. I even like to do the more challenging way, which is counting and as soon as my thought leaves the count, which happens often, I immediately start the count over again. This is great way to "lose yourself" while you are awaiting the natural shift to occur. It also teaches you how to "hone" your focus ability. I think you may be giving up to soon. I find the "separation/shift" occurs, after all the bells and whistles have been exhausted. I shift during the "calm" after the storm, per se. I don't like to practice in my bed though. In my view, "bed is for sleeping". We train ourselves all our lives for that. Instead, get up and use a comfortable chair. I have given you some things here to work on and I am sure some other experienced members here will soon share what works for them and how to possibly help you as well. Apply what feels right. Schmustin, I second Lumaza's advice about the clock time. If I were you would also try the indirect Wake-Back-To-Bed method and give myself 3 hours of sleep, then after the alarm-clock rings would give it a try. It can make a difference. It did so for me. Give it a try if you can and will. had returned and I wasn't prepared and just wanted back into my body, even though I was already out..
That is a good question... Not 100% sure why I stop, never really thought about it. Best answer I can give at thins point it either 1) I feel it is time to go to bed and get the rest 2) I feel the experience is over and I wont get anything more out of it. I realize my believing make is so. You may be correct, Once I feel a part of my body moving I focus on it and work on getting it to move more. No that I think about it the limb that is moving never dose what I want it to do. Ha ha ha.... Yes I would love the experience of opening my eyes and seeing my physical body laying on the bed. But I also realize that I will get what I need, when I need it, and it may not be what I think I want. I do have a few questions though. When you first start noticing the darkness before your eyes, do you get a slight impulse to "re-adjust" your eyes? After a bit into the process. I will start looking into the blackness and work on keeping my mind silent. But it is like a second set of eye lids is slowly lowered over the "Blackness" that was originally their and as the "eye lids" (We will call them that for now as I don't know how ells to explain it) slowly lower over my eyes the blackness becomes blacker/darker... This is where the small electric shock sensation comes over my whole body. As far as wanting to re-adjust my eyes... yes I think I know what you are talking about but cant say for sure. More so I get the feeling as if sand is placed where my upper eye lids would contact my lower eye lids. Not sand in my eyes but just where the two touch. It is really hard to not open them. I can usually "will" it away and not pay much attention to it now. Even at this time (Bed Time) when I am physically and mentally exhausted I still find I am able to keep my mind alert (really without much effort) and I will only fall asleep when I make the conscious decision to do so. Now on the other hand you are right I do know that some nights (rare) I am way to tired to lay their and project so I opt to just go to bed. But I will set an intent to project upon waking or remembering my dreams... Something like that. Sorry you are right I meant to say "Direct" ... Got the two mixed up. I as well play games with counting, I find counting works well for me to keep my mind active when needed. Think I'm giving up to soon? On average a session will go to 20 - 25 minutes. I set a 30 min alarm. Sooooo I will usually make the decision to end the session (as I detailed in my original post) due to the fact the usually after the second set of "eye lids" come don nothing really happens so I end the session and go to bed. I take it I should keep my focus harder than ever at this point and push through the nothingness? I did just start venturing in to techniques like these only a couple months ago. Have not had much /any success with these yet but am still trying theses out on the weekends or, if i don't have to work the next day. The movement of the eyes be bothersome. I found a way to fix that too, by focusing upwards, like I was now seeing with my 3rd eye or what they call the "Mind's eye". It was like changing screens, from visual to more of a mental picture. It's hard to explain, but when you do it, your physical eyes won't "chase" the visuals anymore. I found that once I truly learned to "passively observe", that visuals just began happening quicker and with more vividness. I normally ignore a visual until it does become very vivid. This means that there is a stage of "fade ins and fade outs". You normally know when it's time to "engage" the scene. I used to have a great link over at Xanth's Forum in Destynee's Plan sub-forum there. It was in a thread titled "Learn to Focus". The link went to a YouTube video where you watched a ball moving around the screen. The screen would change dramatically from clouds to mountains, etc.. The challenge was to keep your focus on the center of the screen, while the images around it were moving. It really taught you how to "lock in" and hold your focus. I doesn't seem to be there anymore. But I know YouTube did a major clean-up of all there prior videos. Copyrights and everything. Another great "target focus" is candle staring. I am a strong proponent of that. You do it in a pitch black room, so that you can only see the flame in front of you. You stare at the flaming candle for about 10-15 minutes. You then blow out the candle and immediately close your eyes. Now, there is a automatic "imprint" of that candle's flame in visual screen. The trick is to hold it as long as you can. When it goes away, will it back. Play with that for a while, with complete focus on the task at hand and watch what happens. Candle staring was my first totally conscious "Direct" experience. While staring at the imprint in my closed eyes visual screen, I started feeling vibrations. They came on quite quickly and soon I felt like I was in a actual Earthquake. The sounds that accompanied it were of what could only be described as a Helicopter about to land on my home. Then everything went silent and I was seeing the room I was in. I then felt movement and saw I was venturing around my home. It was scary, but I was hooked, lol! I know that fear. Once in awhile, it still gets me today too. I then kick myself for letting it, after the fact! You may be correct, Once I feel a part of mu body moving I focus on it and work on getting it to move more. No that I think about it the limb that is moving never dose what I want it to do. But it is like a second set of eye lids is slowly lowered over the "Blackness" that was originally their and as the "eye lids" (We will call them that for now as I don't know how ells to explain it) slowly lower over my eyes the blackness becomes blacker... This is where the small electric shock sensation comes over my whole body. As far as wanting to re-adjust my eyes... yes i think i know what you are talking about but cant say for sure. More so i get the feeling as if sand is placed where my upper eye lids would contact my lower eye lids. Not sad in my eyes but just where the two touch. It is really hard to not open them. I can usually will it away and not pay much attention to it. SCHMUSTIN, there are many sensations and occurrences in this practice in general that are very hard to describe. The "feelings", eye movement impulse, things like that are hard to describe. You just kind of learn like you are blind and getting to "see" for the first time. You have to "feel" around. That link above should help you with your focus. The trick is to keep your eyes centered, more like targeted. Instead of having them chase the visuals, try using just your "peripheral vison" to see and take in al the movements in your "visual screen". Also, I noticed how you stated that you put 30 minutes into this. When I first began practicing in 2011, I would put at least an hour in before I got to feel any kind of intense vibrations. Sometimes it took a hour and half. It took me that long, because like you, I was chasing visuals and focusing on every little vibration, etheric body movement, basically anything that occurred. It was like one step forward, 3 steps back. I was constantly "resetting". But then I learned to just trust and passively observe all that I was seeing or feeling, until I just "knew", it was time to engage the scene/reality I was experiencing. SCHMUSTIN, there is are many sensations and occurrences in this practice in general that are very hard to describe. The "feelings", eye movement impulse, things like that are hard to describe. You just kind of learn like you are blind and getting to "see" for the first time. You have to "feel" around. So in short I need to go longer and let it play out.... I am cutting it to short. Got it... Thank you.... Will give it a go over the next couple days and see ho it pans out. At the start I would lay there for 60 to 90 minutes and would not get as far as I do now in 20 to 30 minutes. I will let the process play out for at least an hour and see what comes with it. I don't need 60 to 90 minutes anymore either. The reason it took that long in the beginning was that "I" was the one getting in the way of any successes. I would have a symptom and lock onto that, instead of just "passively observing" it. Once I had a few successes, I was taught by a mentor (deceased Brother-inlaw) the importance of "passively observing" and mentally "allowing" things/the shift to occur. I am having a hard time with the "passively observing"... I find it is better now a days, then it was a year ago. But I always latch on to a new sensation when they/it arises. Is there a trick to this or is it simply a practice item? My advice to you would be to continue your process but actually get as close to sleep as possible without falling asleep. Keep pulling yourself back from sleep before you cross the line and fall asleep. You will obviously eventually fall asleep but with the point being to get as close as possible and monitor for any electrical like sensations or noises. Do this especially upon waking. Upon waking immediately try to go back to sleep but remain consciois. You need to make these intents so you naturally do this every time you awake and/or go to sleep. Most nites nothing will happen. But the nites something does happen makes it all well worth it. Good luck!